Paul is coming to Abingdon and Lancaster this autumn! 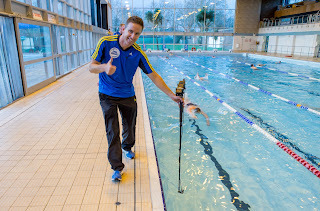 The core Swim Smooth team led by Head Coach Paul Newsome will be running two special Video Analysis And Stroke Correction Clinics in the UK at Abingdon School, Abingdon on Friday 30th October and The 315 Health Club Lancaster on Sunday 8th November. Each clinic features full video analysis and is strictly limited to 10 swimmers - perfect for any swimmer or triathlete looking to improve their speed and efficiency in the water. Also see the list of clinics and events on the right of this post. 20% Off: Finis Tempo Trainer Pro! Kick off your autumn training the Swim Smooth way with 20% off the Finis Tempo Trainer Pro! 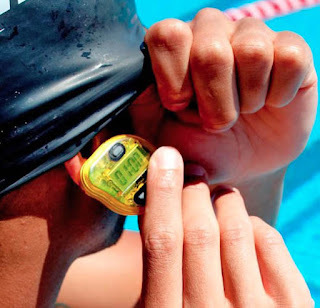 This swimming beeper is the ultimate tool to develop the rhythm and timing of your stroke, and for accurately controlling your pace in training for maximum fitness gains. It's a mainstay of the Swim Smooth coaching programme and used throughout the coaching web-app, book and training plans. Please note our usual multi-buy discounts of up to 10% still apply on top of this promotion price! I Can't Believe I Just Did That! When we start swimming many of the goals we seek seem a long way out of our reach. 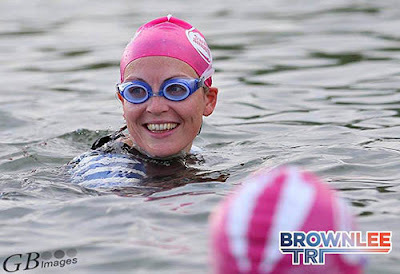 Yours might be swimming 100 meters continuously, or breaking 10 minutes for 400m or perhaps swimming the course at the local lake for the first time. When you finally achieve that goal do you think: I can't believe I just did that! Moments like this are huge for your swimming (and your life in the wider sense) because doubting you can do something is incredibly self re-enforcing. Once you are faced with the simple truth that you actually can do something, it breaks that cycle and you can quickly move on to bigger and better things. The truth is that most of the things that hold us back aren't real, they are just in our heads, even in elite sport: Once Roger Bannister finally broke the mythical 4 minute mile, numerous other athletes quickly broke the barrier too. Is there a more powerful positive force in sport (or life) than belief? So, perhaps the single most important thing you can do to improve your swimming is to take a deep breath, ignore the doubts and attempt your goals more often. Yes there will be a little voice in your head saying "No way can you do this!". Ignore it. Or answer it back with a little fighting talk: "Well we're about to find out about that". Set off, try to forget what you're actually doing and just do it! Of course you might not hit your goal the first time. No problem, pick yourself up and have another go again soon. We bet you learned something along the way (did you set off too fast or kick too hard?) and it will almost certainly feel easier, calmer and more exhilarating next time around.